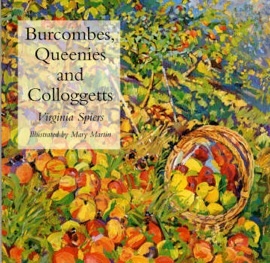 "Burcombes, Queenies and Colloggetts, the makings of a Cornish orchard" by Virginia Spiers, illustrated by Mary Martin, published by West Brendon. 84 pages including 54 colour illustrations. Virginia's evocative prose, Mary's vivid paintings and James' enthusiastic research into near extinct varieties of local fruit celebrate the very special nature of the Tamar Valley. Old orchards, cider making and cherry picking are interlaced with the intriguing names and histories of over seventy Cornish apples and cherries. "The particularity captured in this book, in work, words and paintings, sings the heartening songs of enthusiasm, imagination and rigour which will help us to reinvent important local links between nature, culture and place". Paperback, 61 pages, 70 black and white illustrations. 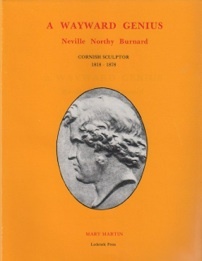 "the background, life and art of the stonemason's son from Altarnun on Bodmin Moor, who rose to fame in London but threw away his great success to die in Redruth Workhouse". 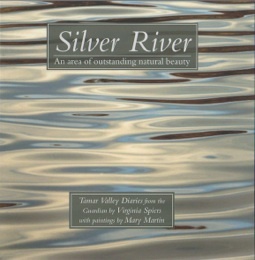 "Silver River, Tamar Valley diaries from the Guardian by Virginia Spiers with paintings by Mary Martin", published by the Tamar Valley AONB service. 198 pages including 124 reproductions of paintings by Mary. "The images and words in this wonderful book open our eyes to the fragile beauty of a landscape often overlooked. It slowly and sympathetically reveals the many layers of history, culture, people, places and wild life that have accumulated over the centuries to make the Tamar Valley such a rich and distinctive locality." 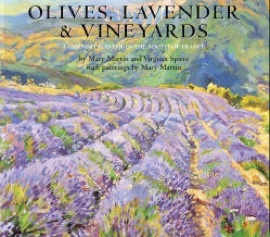 "Olives, Lavender and Vineyards, a Cornish painter in the South of France" by Mary Martin and Virginia Spiers with paintings by Mary Martin, published by West Brendon. 96 pages including 70 colour illustrations. Celebrated here are Mary Martin's lyrical paintings of lavender fields, olives, vineyards, sunflowers and peach blossom. Complemented by the atmospheric descriptions of landscape by Virginia Spiers, Guardian Country Diary writer, Mary's account of the influence of France on her work contributes to a greater appreciation of this dedicated Cornish artist. "Cornish painter Mary Martin's lyrical landscapes capture the very essence of the south of France". 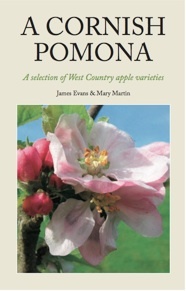 "A Cornish Pomona, a selection of West Country apple varieties" by James Evans and Mary Martin. 128 pages including 125 colour photographs. A colourful blend of apple descriptions and fragments of local history, this handbook fills the needs of the enthusiastic gardener and those interested in supplying the regional market. If you prefer your apples uncontaminated by spray residues and available seasonally in great diversity, rather than the bland uniformity of supermarket ‘choice’, then this booklet is an essential guide to choosing your new trees. Detailing one hundred and seventy varieties with a wide range of flavours and uses, all are disease resistant in the moist climate of the South West.